WHY YOU SHOULD MARKETING YOUR HOME WITH US? Ruben and Mary Solis with Unique and Distinctive Homes leads the luxury marketplace community with Keller Williams luxury homes strong brand name recognition and the exceptional service that our group provides to our customers. We work with the best real estate websites in the world, offering cutting Edge integrations and listing syndication architecture. We staying ahead of the shifting real estate industry, which is why leading-edge software integrations, particularly those that involve working with the Google™ team, Realtor.com, Trulia, KW Luxury Homes, etc. We provide a high level of personalized service to both international and national buyers and sellers. Has hit the street!. It looks fabulous and is chock full of great properties from around the country. DuPont Registry Distributed to private jet centers, NFL, NBA, MLB, and NHL sports locker rooms, PGA golfers, upscale automotive concourses, collector car auctions, boat shows, special events, commuter terminals, select newsstands, and upscale bookstores worldwide. Smart and sophisticated demographic that buys locally and thinks globally. 20,000 copies, distributed in up to 300 separate locations. Reach the most influential Mexican and Latin American executives leaders who live or want to relocate in San Antonio, Texas. 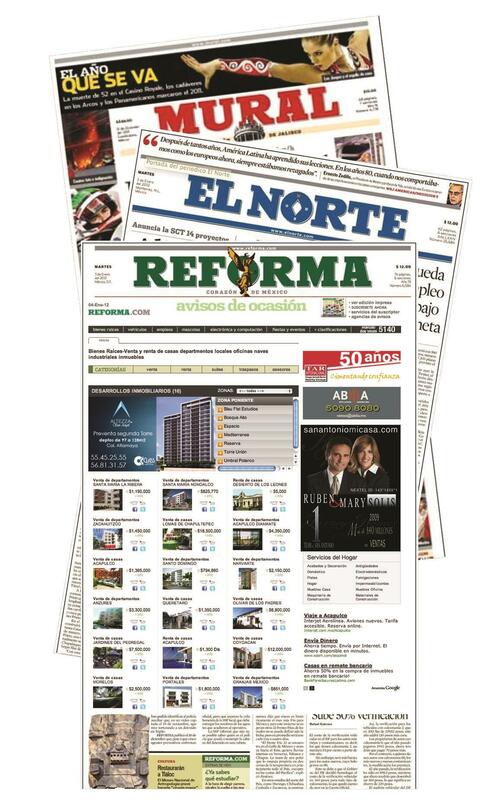 Is a similar magazine as FORBES in Mexico, read by more than 178,000 CEO’s, doctors, business men and woman. QUIEN is one of the Most Powerful Women Entrepreneurs magazines in Mexico. 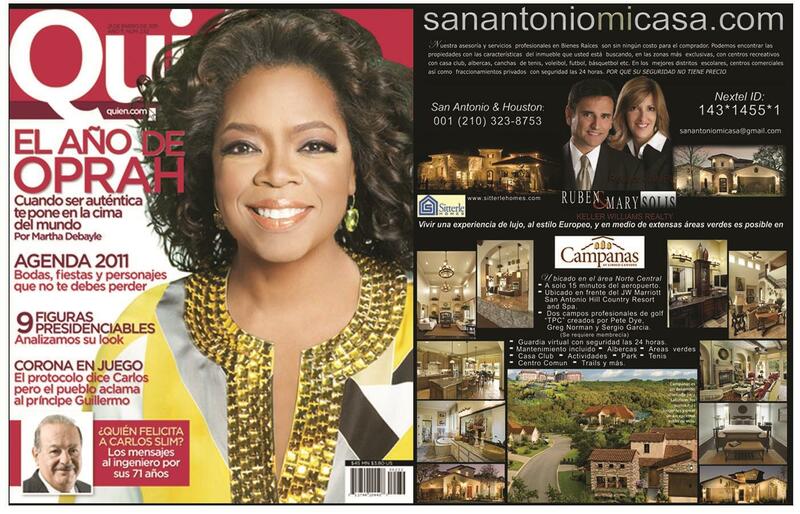 Texas high-end luxury homes and lifestyles Magazine . Distributed to CVS Pharmacies, spas and salons; hotels; autodealerships; restaurants, cafés; schools, universities; medical offices and hospitals; fitness centers; retail locations; and other businesses. Is distributed at approximate 400 locations in San Antonio and surrounding areas: HEB, Jim’s Restaurants, military bases,Valeros, local hotels & restaurants, salons, car washes and real estate offices. 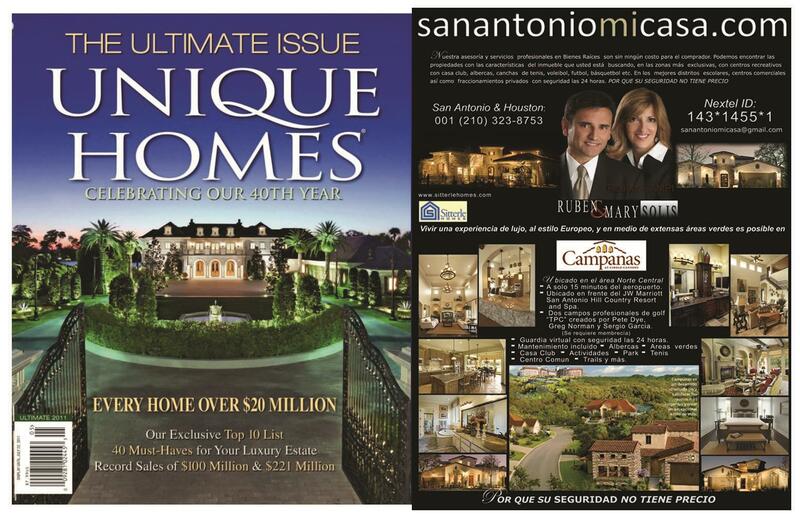 Homes & Land is the only real estate magazine available in both Terminal A & B at the San Antonio International Airport. 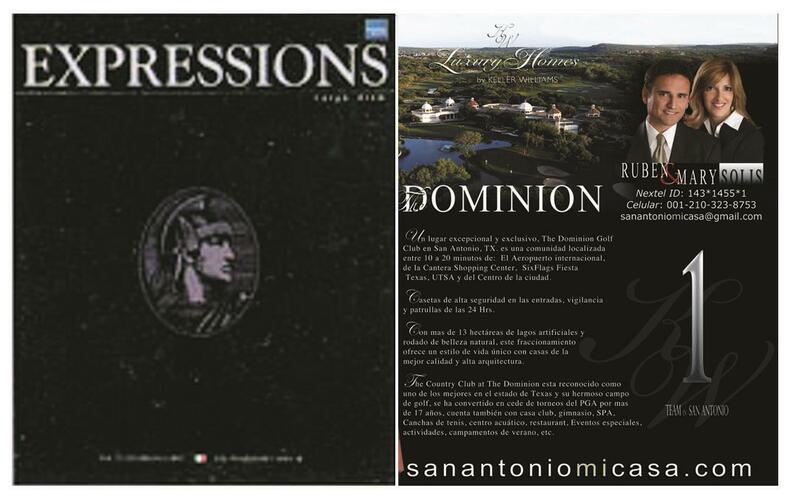 American Express EXPRESSIONS Magazine Distributed to CENTURION® y PLATINUM® which caters the more affluent international customer segment. countries, incluiding over 600 airport locations. Luxury Home Magazine®. Leader in luxury homes and the luxury lifestyle market. Our In-Flight Magazines ads Reach Millions of Affluent Business and Leisure Travelers from all over the world every year. WE ARE FLEXIBLE AND CAN MEET YOU IN OUR OFFICE OR AT YOUR PROPERTY TO DISCUSS OUR MARKET STRATEGY ONE-ON-ONE.